Cmon fox I know you think everyone has a 9-5 job and races home to view your channel but the real working class grinds all week and has to Hulu our shows on a weekend marathon, everyone I talked to (and it’s a lot of people) are upset with your choice, it’s a shame you make decisions on people being home for ratorahip. I loved 24 Legacy and want it renewed !! This was by far the best show on T.V. It seems like none of the stations give the new shows a chance and there cancelling them. PLEASE another season !!! Awesome show!!! Bring it back for MORE Seasons! The reason MOST shows don’t have high ratings as they’re airing, their first season especially, is because EVERYBODY “Binge Watches”!!! I personally don’t watch shows until I can watch an entire season!!! I Never watch shows weekly! I seriously hope they renew this show! It was the best action – suspense filled show out! Loved the show! I wasn’t able to watch it on TV because DirecTV stopped giving us local channels. However, I did watch it on Hulu. Please bring it back! I am so very, very much hoping that there is a season 2. I did not miss one episode. Season 1 was my first time really getting into the episode and I keep looking for this to come back. I vote do not cancel FOX! I loved the show! Whenever you have a show as beloved as 24 you need time to get acclimated to new characters! So does the pressure the actors have in living up to a previous mega hit show! The actors in Season 2 will be more relaxed and find there own niche! The writing and storyline is still phenomenal so please continue to thrill us! A huge fan begs you! Liked it alot & want it to be renewed please. 24 Legacy I would say was not as good as the original, however, it was solid. I never had the chance to watch on the night, but certainly caught up on Hulu. Eric Carter will become more relaxed in his role and think he can be his person, but also have a little Jack Bauer in him as well. I am hoping for a second season. Look at all the other serious that don’t even have the ratings that 24 has. Why are they waiting??? No Season 2. What a relief. My wish came true. 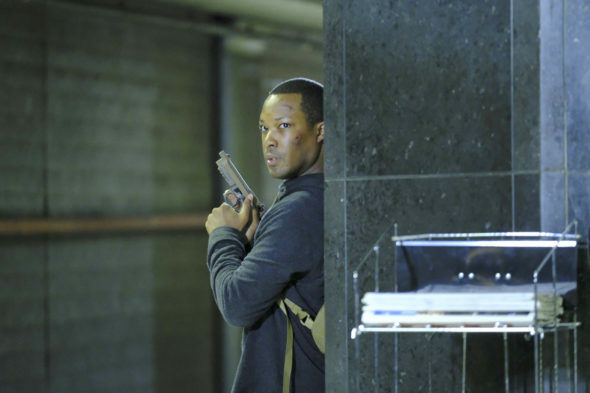 24: Legacy was a huge letdown for fans of 24. You could tell in the first ten minutes of the first episode that you were in for a lot of disappointment. Not the fault of the actors, who did what they could with the lousy plot and unintriguing characters. 24 has loyal fans, but FOX betrayed us. Please Fox don’t let the legacy end I’ve been addicted to the 24 ever since it started and with this new spin off it’s got more interesting and intense so as a true fan of the show my an several friends would be very disappointed if it ends with the death of a close friend of his and ours…..P.S MAY THE LEGACY LIVE ON. ……. Please bring it back on air.